EU Council has agreed a general approach which includes a commitment to ban the discarding of dead fish. The UK Government has achieved a major step towards radical reform of the broken Common Fisheries Policy (CFP) today, as the EU Council has agreed a general approach which includes a commitment to ban the discarding of dead fish. The meeting held in Luxembourg, was a long-awaited opportunity for EU Fisheries Ministers to agree genuine reforms to end ineffective micro-management from Brussels and address the public outrage over ‘discards’. Following 24 hours of tense negotiations, the EU council did agreed that there should be a ban on discards but the date in which this will be achieved will be subject to further detailed negotiations. 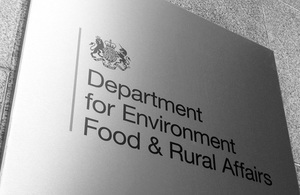 Provisional dates published by the Council would see a ban on discards in the ‘Pelagic’ fisheries (such as Mackerel and Herring) by 1st January 2014 and a ban on discards in ‘Whitefish’ fisheries (Cod, Haddock, Plaice, Sole) on a phased basis starting on 1 January 2015 and fully in place by 1 January 2018.